Dual axis, which is also called as dual-plane models, makes the measurements from the two different angles or viewpoints. The two measurement axes are perpendicular and coplanar to each other. The product that is to be measured is placed perpendicularly to the measurement field. To measure the diameter, ovality, and position of the product micrometer is typically used. Considering the round products, the two axes of inspection offer a better average diameter and in numerous other applications, an acceptable measure of ovality also called the roundness or eccentricity. There are some profiles for which a dual-axis micrometer offers an efficient way to measure the critical dimensions. Single dual-axis will measure both the width and height or width and thickness of the rectangular products. Accurate alignment of one measurement axis with the single dimension ensures proper alignment of the other axis for the measurement of the other dimension. Likely, with the triangular profile, you can measure the base and height with the dual-axis gauge. Irrespective of the product orientation, with the hexagonal products, a dual-axis micrometer can offer an exact measure of flat-to-flat distance. To inspect the samples of the benchtop applications without rotating them, a dual-axis model is appropriately sufficient. 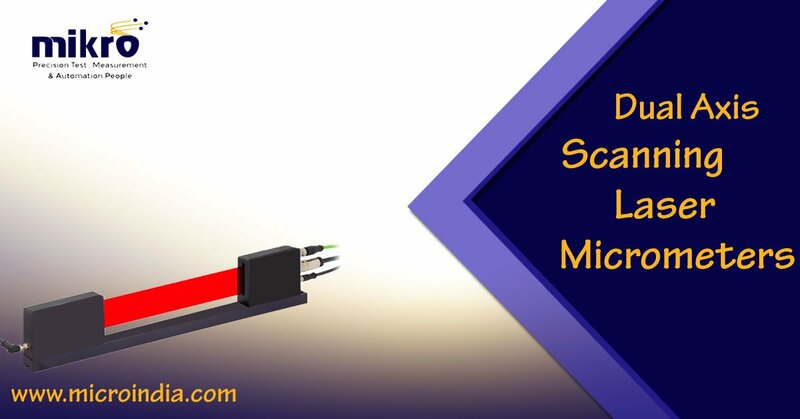 To perfectly measure the fine wire, optical fiber, and micro-extrusions with the diameter as low as 0.0016 inches, the best-suited micrometer is TLAser203TM. The TLAser222TM is a workhorse that has an excellent balance of the wide measurement range. The measurement rate it has is moderate, the accuracy is excellent and has a uniquely compact package that fits just about anywhere. Everything comes with an excellent price point. It suits best to the extrusion applications that is in-process like medical tubing, wire, and cable. It is also great for the inspection of piece-part application. To measure the non-round profiles in-process, products that have varying diameters, flaw detection applications the remaining dual-axis models can be upgraded to the fastest measurement rates of any scanning laser micrometer. For the measurement of the part that is discrete, a higher measurement rate facilitates the quick cycle times of the inspection. It can be used with the Total VuTM HMI, for full product and process monitoring, reporting and control. Could be chosen from 5 different modes. Can be used with a SmartLincTM processor for an intelligent interface via industrial communication protocols. Mounting adapters are available to deploy the four axis measurement for improved flaw detection and better average diameter. 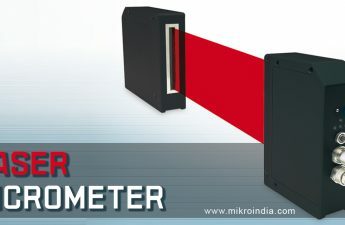 We at Mikro India provides services like laser application such as laser marking, laser engraving. We also provide Air leak testers and many more services nationwide.